Corinna Osborne. Prior to joining Edgewood Tahoe, she held top level operational roles at other organizations including Harvard University, Montbleu Resort Lake Tahoe, and Hard Rock Hotel & Casino Lake Tahoe. Her portfolio also includes a successful entrepreneurial venture of a high end catering company that served the greater Lake Tahoe area. 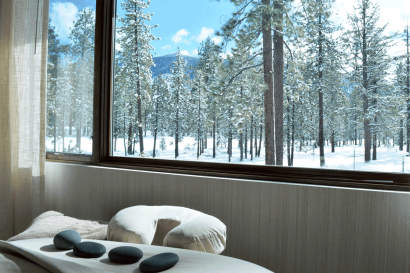 The 154-room lodge was designed to be modern, yet reminiscent of National Park lodges. 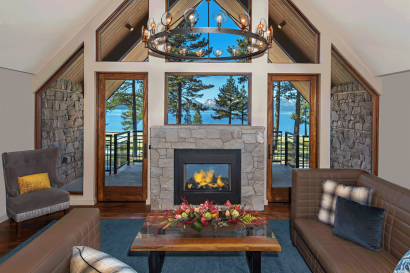 The Lodge at Edgewood Tahoe recaptures the spirit of these storied retreats and the adventures they inspired, allowing locals, newcomers and regulars alike to see the lake that’s been revered for centuries in an entirely new way. Where casual comforts exist amongst classic refinement. 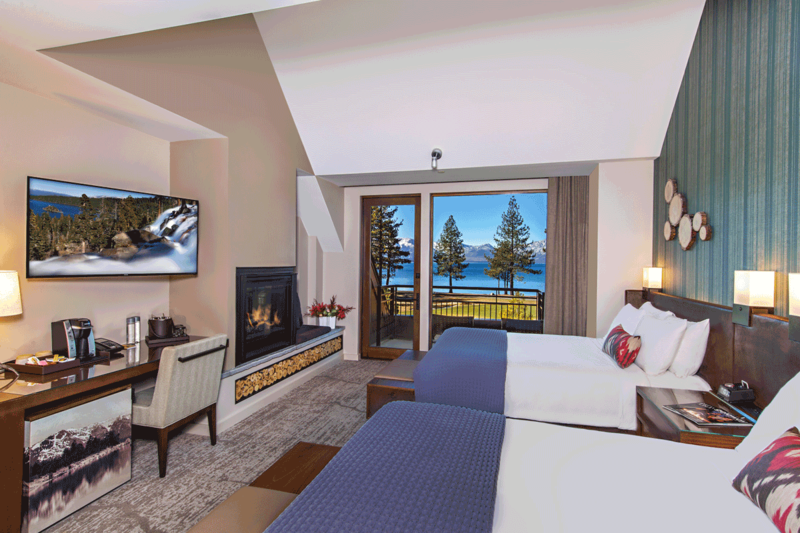 Where untamed adventure resides amongst unparalleled accommodations. 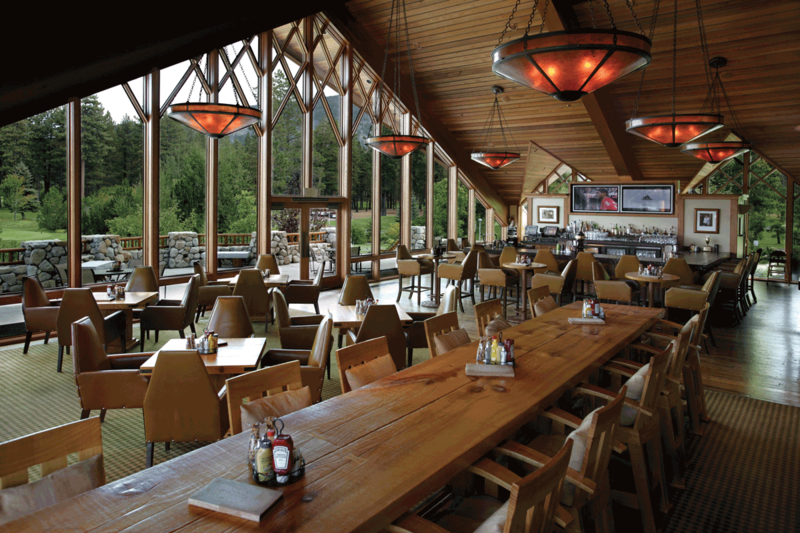 The LEED silver certified Lodge is an oasis at an oasis. 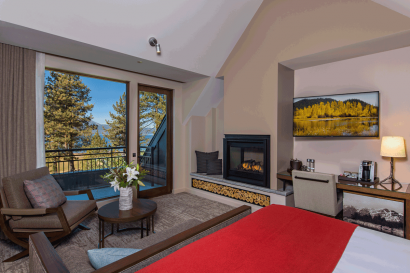 Guests are treated to the premier alpine resort experience with world-class amenties and breathtaking views of Lake Tahoe and the surrounding Sierra Mountains. 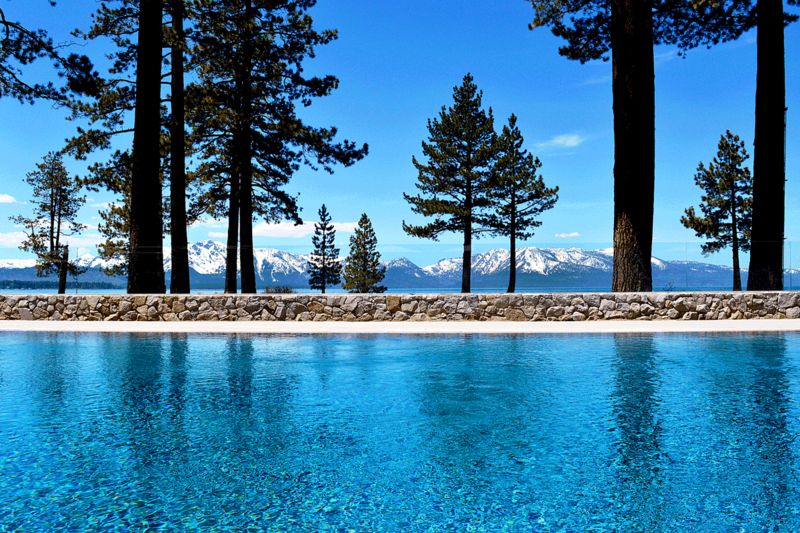 Edgewood Tahoe is located directly on the state line of Nevada and California on the southern shoreline of Lake Tahoe. Guests can go from the lake to the spa to the night-life at South Tahoe in mere minutes. All Lodge guests are treated to a courtesy shuttle providing transportation to local destinations including outdoor adventures, mountain resorts, casino gaming, entertainment, and more. 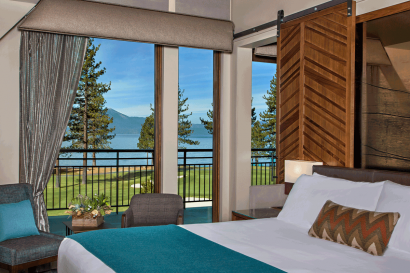 Edgewood Tahoe Golf Course on-property has been rated one of top 100 public golf courses in the USA by Golf Digest. Open seasonally from early-May to mid-October. 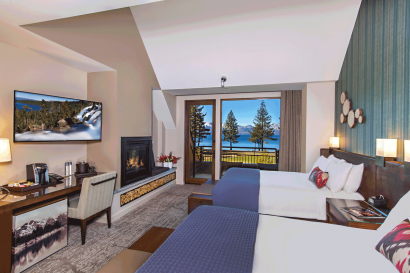 Lake Tahoe, experience the famous emerald lake with water sport activities, beach, water cruises and scenic wine tasting tours, hiking, and other soft adventure activities. Stateline casinos are located within 1km from hotel. 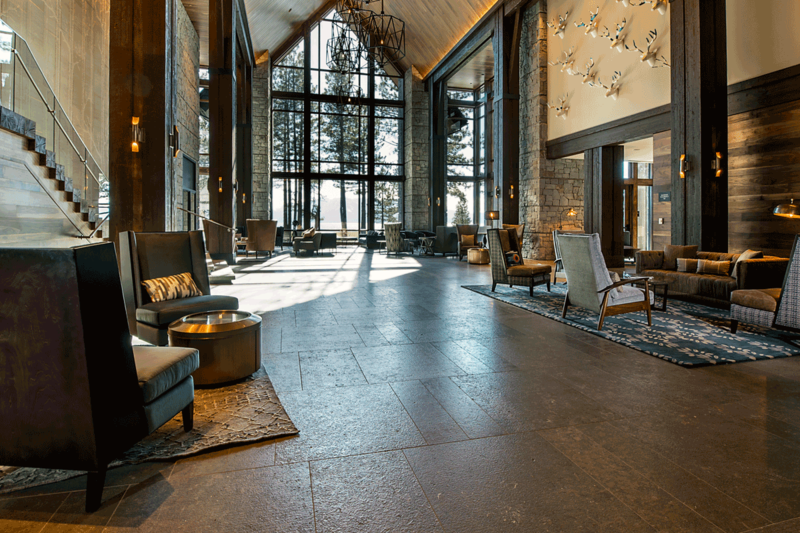 Architectural highlights in the Lodge include two limestone carvings done by hand. One of a beautiful aspen tree grove can be found in the Great Room, an awe-inspiring communal space, and the other of a topographcial map of the southern portion of Lake Tahoe welcomes guests at the front desk. 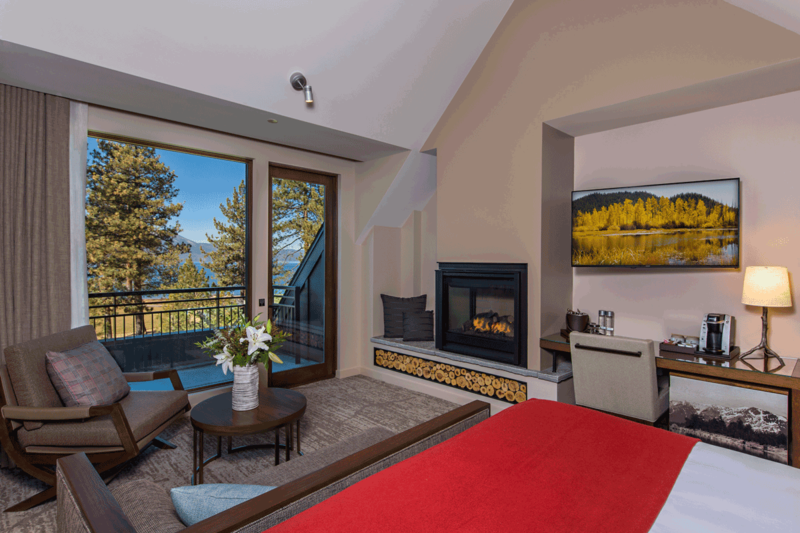 Edgewood’s Concierge/Guest Services team is a perfect starting point for families of all ages to embark on new experiences together. Adventures can be self-guided or choreographed entirely by our team. 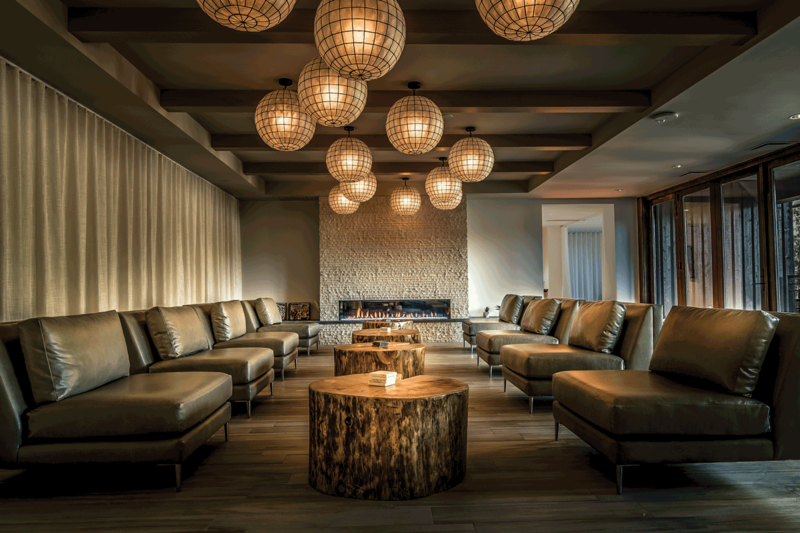 Nightly s’mores experiences are available to enjoy complimentary with multiple firepits located throughout the property. 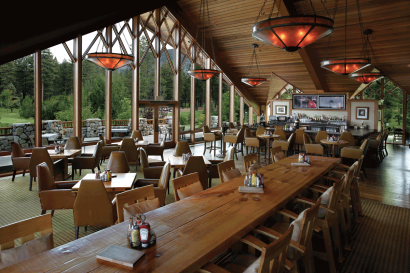 The Bistro at Edgewood – Full-service refined, yet casual, dining option serving breakfast, lunch, and dinner inside the Lodge. 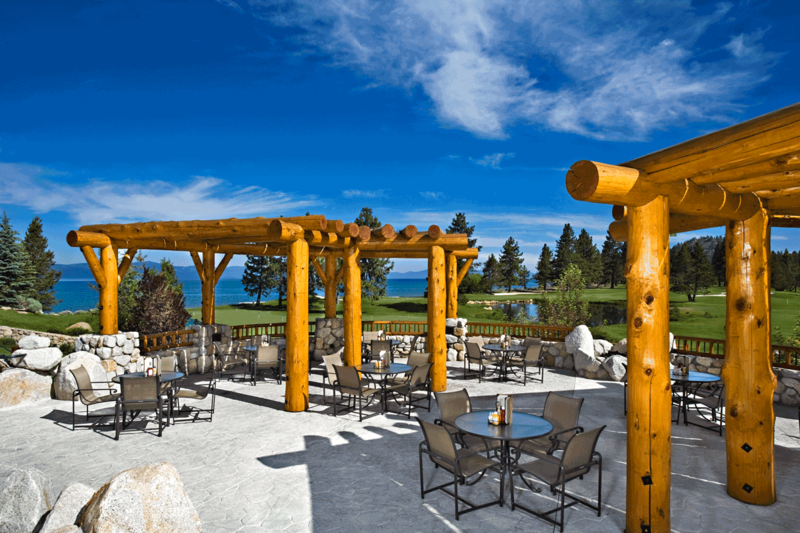 Patio seating is offered seasonally. 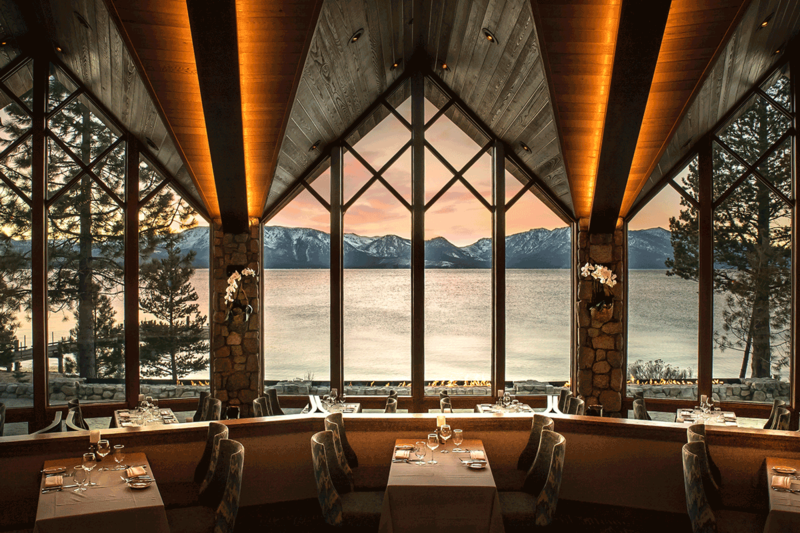 Edgewood Restaurant – A fine dining option for unforgettable dinners inside Edgewood’s mountain château clubhouse. Brooks Bar and Deck – Sports bar option inside Edgewood’s mountain château clubhouse to enjoy tasteful comfort food and to imbibe in signature cocktails and craft beers. Breakfast and patio seating are offered seasonally. 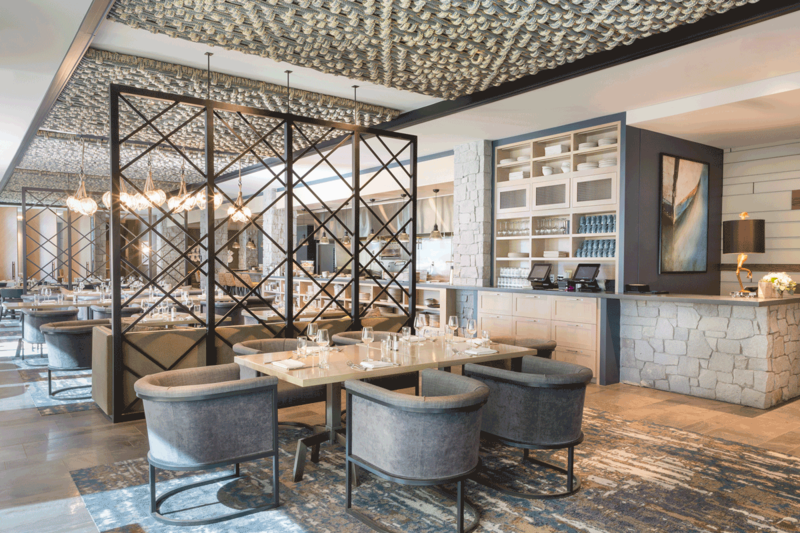 Bistro bar – Offering the Bistro’s entire menu to guests who would like to enjoy their meal and drink in the lounge. Also serves as Edgewood’s late night dining option. The Coffee Bar – Offering an array of drink and grab-and-go snack options. Chef Charles Wilson holds two American Culinary Federation (ACF) gold medals and three ACF bronze medals. He has also led a culinary team in a special event at the presitigious James Beard Foundation. Notable special events throughout the year including Easter Champagne Brunch, Mother’s Day Champagne Brunch, 4th of July Celebration, American Century Celebrity Golf Championship, and New Year’s Eve Celebration to name a few.